Posted on August 7, 2013 Posted in Common Core, Elementary, High School, Middle School, My Thoughts	. As you probably already know, there is a lot of controversy surrounding the Common Core State Standards these days. Every pundit and politician from every walk of life has something to say about them. But, what do we as teachers think about them? Isn’t that more important, anyway? 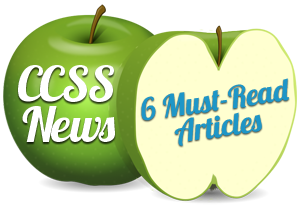 Here’s a collection of some of this week’s must-read articles about the CCSS. Hopefully they’ll help you to form your own opinion of the standards. 2. How Are Teachers Getting Ready for the Common Core?